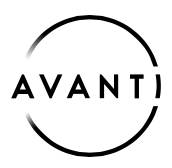 A new job at Avanti Communications Group plc (Avanti) was created specifically for the woman that they hired. This leading sales and customer services executive, Libby Barr, is the Chief Operating Officer – Customer effective immediately, and she will also sit on Avanti’s Executive Committee. In a newly created role, Barr will report to Group CEO, Kyle Whitehill, and will be responsible for managing the execution of Avanti’s end-to-end customer relationship. She will oversee global Sales, Wholesale, Product Management, Marketing and Commercial. Group CEO, Kyle Whitehill said that Libby is a dynamic leader who inspires and cultivates change. Her extensive experience in transforming the customer journey at both BT and Vodafone will serve our teams well as Avanti continues to expand its international footprint. After signing a seven-year wholesale capacity lease agreement, worth USD108 million in 2018, the team is now positioned to capitalize on this momentum under Libby’s leadership. Barr joins Avanti from BT. At the company for nine years, she was most recently Managing Director of Customer Care and a member of the BT Consumer leadership team who grew revenues by more than £1.2bn in five years. On her appointment, Barr said that she is joining Avanti at a pivotal time of transformation and growth; the demand for connectivity has never been greater. Her top priority is not only to increase their customer base, but to ensure they offer the best service to their current customers as they continue to grow.